As you are using george! Learn how to use all of the the functions of george! Note: If george! is installed but you do not see the george! tab in PowerPoint follow these Troubleshooting steps. Your george! software is designed to be customized. The george! Stats function scans and provides counts of everything in your PowerPoint file. george! will extract anything from an open PowerPoint file into a Word document. The george! Convert function allows you to extract formatted slide text and slide notes into Word to quickly and easily modify and/or translate the text; and then import the converted formatted text back into PowerPoint. The george! Import Pics function imports multiple image files into your open PowerPoint file, and unlike PowerPoint, george! distributes your images across as many slides as required. Having linked images in a presentation file saves file size, but when you change the directory location of the images, or email the file to someone else, the links are broken and an “X” replaces the images in your slides. The george! Save Pics function allows you to save embedded images as reusable image files. Use the george! Generate Alt Text function to add or edit Alt Text in an open PowerPoint file, for screen readers and 508 compliance. How to quickly find “non-text” embedded objects to view the alternate text titles and descriptions automatically generated by george! The george! Add Markers function is a fast, visual method for adding a Table of Contents to a Word document created from your PowerPoint slides and notes. Use these markers to generate a Table of Contents in LeaderGuide Pro documents that are built by importing PowerPoint files marked by george! How to remove all TOC markers in the open PowerPoint file. The george! Create function is what george! is all about. george! 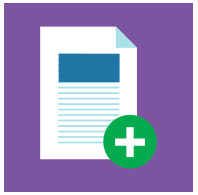 creates documents from your slides and notes for use as speaker notes and as handouts to support PowerPoint-driven presentations. The george! Act'n DeAct function does just what the name suggests. The george! Customizing Styles allows you to modify the Styles used in the Word documents george! creates from your PowerPoint files.